Automate your workflow to spend more time building relationships. We helped pioneer the CRM industry more than 26 years ago and our level of expertise with CRM is only surpassed by our friendliness and desire to help you make the best decision with your CRM system. We know how important it is to your business, especially If you are a SMB. Don’t feel like filling out the form? 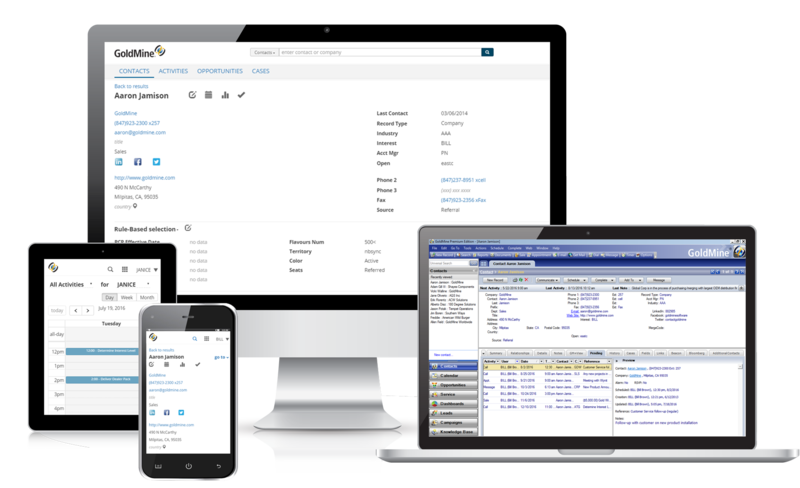 GoldMine is one of the only CRM systems you can OWN!